A cast iron frying pan is a must-have for every kitchen. And you should get the best one if you want to save money and efforts in the long run. Yes, nothing but the best is required! A standard frying pan can help you to cook an average meal. But, only the best cast iron frying pan can provide true delight to your taste buds. New cooks often feel lost when trying to spot the right pan for their needs. The “Prince Charming” of all pans. So, we have arranged a quick guide on how to find and spot the best cast iron frying pan. Where to Buy Cast Iron Frying Pans? The first step toward having the best cast iron frying pan is to buy one from the reliable brands like Velosan. 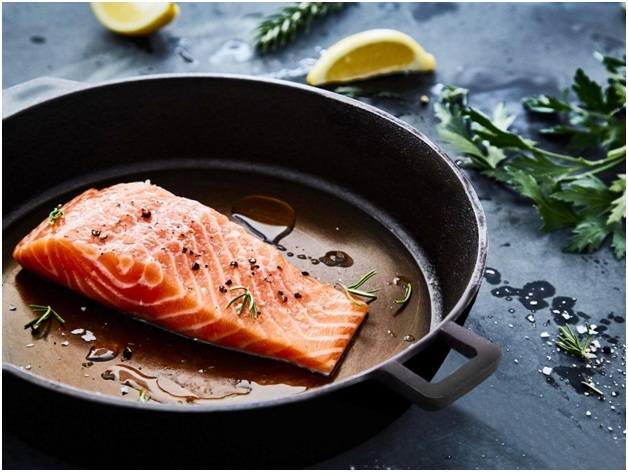 Velosan is a German cast iron cookware brand with years of experience in offering us the best pans on the market. 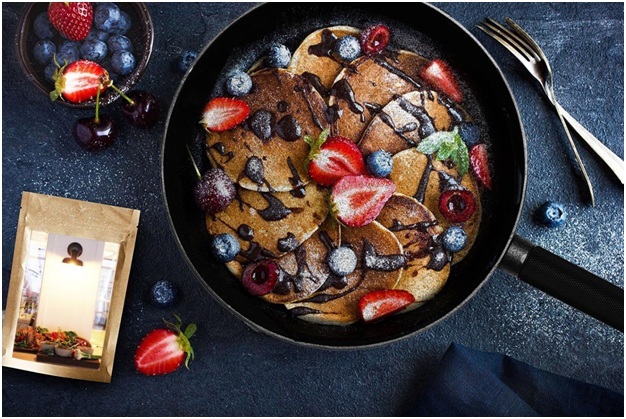 They take sustainability very seriously, and their focus on a healthy lifestyle is also shown on the non-stick coating of their cast iron products. They use layers of enamel which meets all the filtration standards and requirements set by the European Union. Their cast iron pans come pre-seasoned with a natural coating of fat, which does not only give a unique aroma when cooking but also forms a natural protective film over time. You can easily find high-quality cast iron frying pans both online and in stores. However, it’s not difficult to see one of these pans around you. The challenging task is deciding which one of them is the right one for you. So let’s dive straight into how we can spot the best of the best when it comes to cast iron cookware. Weight is the critical factor to determine how valuable a cast iron frying pan can be to your everyday cooking. 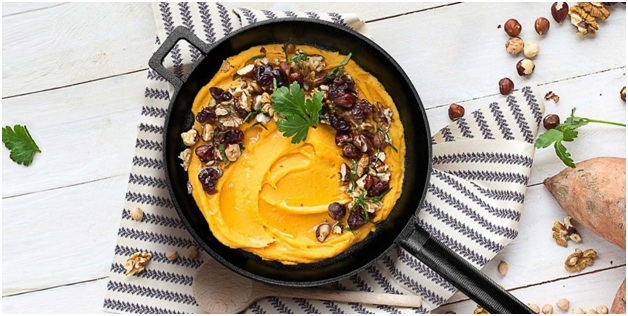 An ultra-lightweight cast iron frying pan can easily slip from the stove and have less thickness which may lead to uneven distribution of heat. Contrary to that, a heavyweight cast iron frying pan can be difficult to maneuver while cooking. Saving money off a gym membership sounds great, but not that appealing when you have to lift a heavy cast iron pan over and over again for months or years to come. So what is the right weight? Chefs believe that a little over 3 kg (without lid) and a little over 5 kg (with lid) is an ideal weight. The best cast iron frying pan should have excellent thermal conductivity. But, what does it mean? This refers to the quality of a frying pan to spread the temperature perfectly from the middle point to the whole pot. This even distribution of heat is the top secret of chefs for that perfectly brown roasted chicken piece you always dreamt of! The perfect handle is another essential key feature to look for while looking for the best cast iron frying pan. A longer one can be handy to maneuver, and the shorter one is easier to lift and pour. So, what is the perfect one? The ideal handle should have a round shape, an intermediate length and the ability to ensure various movements while keeping the chef’s hands safe from burning! A perfectly solid lid that can cover the top entirely is the hidden asset to look for in a cast iron frying pan. The primary function of a lid is to seal or close an object. So when you have chosen the right cast iron pan, the next step is to find the lid that matches it perfectly. Using a lid allows you to cook any dish more evenly and to save energy or gas. It’s a win-win! The first product presented by Velosan was a castiron pan with a diameter of 28cm. This cast iron pan was created in one piece according to the old tradition of sand mold casting. The excellent response and demand for this type of cookware opened the doors for more products. Since then, the name Velosan stands for quality and durability. Today they produce a whole range of different pots, pans, and woks, but also other kitchen utensils. Velosan’s have enjoyed increasing demand from cooks worldwide. This shows that even today high-quality cookware from Germany is appreciated. Their choice of materials and traditional manufacturing methods give their products a high standard and excellent quality.